Do you have a subject that you struggle teaching? Well for me it's MATH. I have talked about this openly a few times on my blog. Math was and still is one of my poorest subjects, I find it mundane and sometimes difficult to fit into our unschooling style. Plus I have two children who struggle with some dyslexia issues. Add in my and my husband's dyslexia issues and math is a difficult subject for our entire family. I really dislike math and always have. It has always been confusing for me and boring. In public school I had scheduling conflicts which resulted in me being skipped over basic math principles in Jr. High and High School. I was tossed into Algebra I without taking Pre-Algebra, then after struggling through Algebra II I was pushed into Pre-Calculus (which I ended up dropping out of). It wasn't until I took electronics classes in my Senior year that math finally started to click a little bit for me. It was more practical and actually a little fun. But it was too late, my hatred and poor skills for math had already been embedded. When I was pregnant with Rowyn I took a Real Estate and Appraisal course and had tons of anxiety over the math portions. 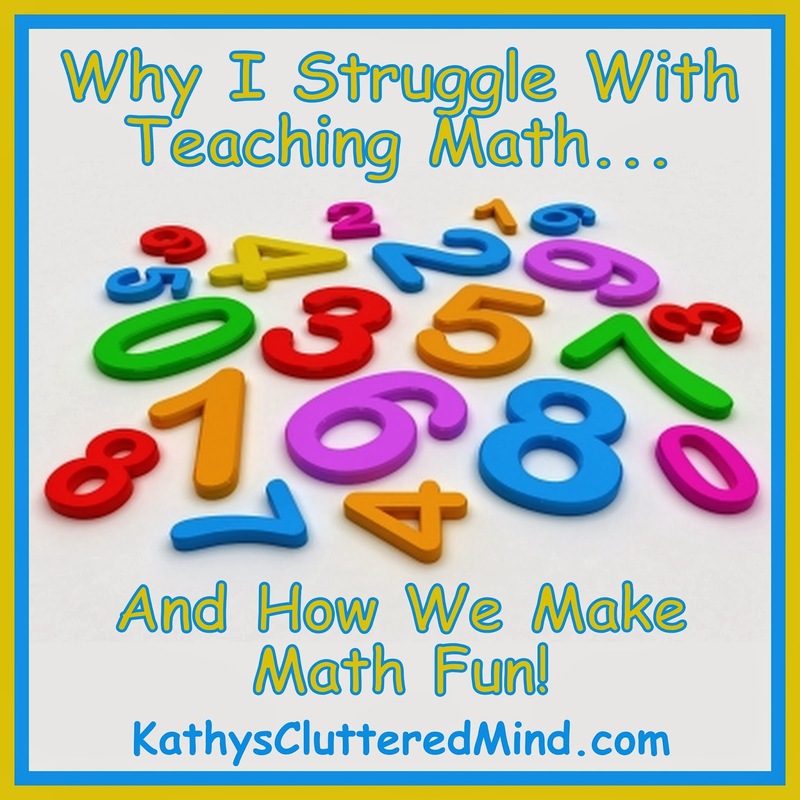 I could not do the formulas the way the instructor was teaching them and had to lock myself in the bedroom every weekend to study and teach myself the math in a way I could understand it. I did pass all my tests, but it boy was it was one of the hardest things I had ever done. As a homeschool mom I want my children to love learning. I want them to embrace all subjects including math. I don't want them to have a hatred for a subject or ever give up on learning something because it's too difficult. So I NEVER voice my hatred for math to them...instead I re-learn alongside them and am finding that math can be fun! During our first year of homeschooling we had no math curriculum or resources and for the most part we only covered money, time and some basic addition and subtraction. It took me a year to find a curriculum that worked for both myself and my children. Most of the math curriculum's scared me and made no sense to me. After reviewing several curriculum's and speaking with virtually every homeschool math company we settled on A+ Interactive Math as our primary curriculum. Be sure to check out the FREE 30 day trial too! Because of our unschooling style the children don't do math everyday on A+ Interactive Math. Why? Well it goes back to that fun comment above. The do enjoy A+ Interactive Math very much and find it fun, however there are days that they don't want to get on or days they begin to get frustrated with a concept. So instead we have fun with math. Note: the following 3 items have Amazon stores under them which you may not be able to view on a mobile device, if you are interested in the recommendations please view the post from a flash enabled device. Also be sure to head over to Schoolhouse Review Crew Blog to see what other homeschool moms struggle with teaching!